Use this online guide to learn how to get the best deals from Milan car rental companies. Everyone loves the flexibility of being able to travel when and where they want. So one way to get to Lake Como from Milan is to rent a car which will allow you to explore all the charming little towns and points of interest along the way and at your very own pace! 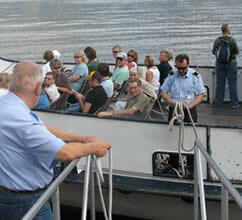 It is also fun to take your car onto one of the ferry boats which will let you explore the other parts the lake. A car rental in Milan offers you the convenience of many pick-up and drop-off locations such as the Malpensa, Linate or Bergamo airports or many downtown areas such as the rail station. It also allows you to take advantage of odd hours during the day, while car rental companies in Comotend to have more limited hours and locations. 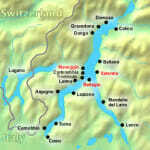 We created a separate page on Como car rentals here. Smart tourists always find great deals on car rentals way before they even arrive into the town of Como, thanks to the internet and its ability to sift through the hundreds of agencies available. You can check use the search engine above to browse through up to 50 car rental companies and see what the rates are currently going for. You can book a car online but then pick up your car from Europcar, Avis or any another agent in Europe. We enjoy using this service anytime we need an car rental in Italy. You can easily book your preferred vehicle online and then simply bring your confirmation number to one of the pick-up locations listed and Voila! …you’re driving before you even know it! You don’t have to worry about finding a location, closing hours, lack of availability and all the other stomach churners. 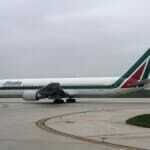 If you arriving by airplane into one of Milan’s Airports, the most convenient albeit the most expensive way to rent a car is to get one directly from the airport. These rental agencies are usually open much longer than the ones in the city. From Milan’s Linate airport you can rent from AutoEuropa, Avis, EasyCar, Europcar, Hertz, Maggiore/National, Sixt, Thrifty-Italy by Car and Tirreno/Prestige which all have desks in the Arrivals level. From Bergamo’s Orio al Serio airport you can rent from Auto Europa, Avis, EasyCar, Europcar, Hertz, Maggiore, Sixt, and Locauto Tirreno. To help you get around Milan and Lake Como, you can always visit our maps page which will clearly map out where you want to go, and even show you satellite images of the area! You can go where and when you want without having to rely on a schedule. Buses, trains, and ferries often don’t run during late hours of the day or very early morning hours. You can drive through lesser known roads and trails that reach spectacular mountain views where buses often don’t go to. You can take your car with you on the ferry boats that run between Cadenabbia, Menaggio, Bellagio and Varenna. 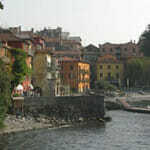 Parking is difficult to find and pricey in most towns of Lake Como or Milan during the tourist season. Italians drive like they have the worst case of road rage. Many Milan car rentals only rent cars with gear shifts, and cars with automatic shifts are usually much, much more expensive. Many of the streets of Lake Como are very narrow, and you wonder whether they’re not really meant for one lane! 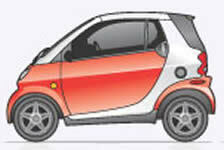 Tip: It’s better and wiser to rent a small car! Highways become really clogged during rush hours. Phew! Now that you’ve made it this far, you have a pretty good idea as to whether you are somebody who should rent a car. ….or getting back home from a late-night concert, it is essential to rent a car because there are no other options and taxis are very expensive. 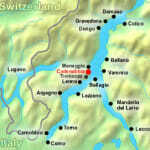 Click here for a very handy tool you can use to figure out exactly how to get to your destination in the Milan/Lake Como region. There is an extensive network of buses, trains, and ferries to get you to your destination. Many times you will have to use a combination of two or three to get where you want to go. If you are ever completely lost, you can always ask the friendly drivers for help. One handy italian phrase is “Dov’e __________?” or “Where is __________?” pronounced (Doh-vay). If the thought of a Milan car rental or just the thought of driving makes you cringe, there are numerous taxi services available. 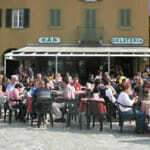 You can usually get a taxi from a stand in larger towns such as Bellagio, Menaggio and Como. They are very expensive and can charge over 15 Euros just to get to a nearby town. In the smaller towns, taxi stands are very unreliable especially at odd hours of the day. If you are ever stuck in a small town, or arriving late at night, then visit a local bar that?s still open and they should know the number of a taxi you could call or maybe even order one for you. Also, keep in mind that Italian taxis can sometimes charge you extra for the time it takes to arrive to you! Italians drive so fast they probably wouldn’t even notice you?re standing there! I wouldn’t recommend it in any case. Why go for a Milan car rental? Italy has a long-standing reputation for producing a few of the most talented and prolific artists in the world. Because this lovely country has such a comprehensive history, a lot of the museums and important monuments are spread-out throughout the country. Whether you’re in Venice, Milano, Florence, Roma or one of our many other locations, make sure to take advantage of your energy in this awesome nation. Having a discount Milan car rental can take you far with your journey partners to perfect your vacation. 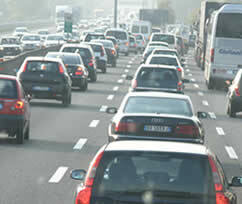 In case you have concerns about driving in Italy our driving information page might help! Many of the main car rental companies offer rental vehicles in Italy but, it is advisable to book your car before your departure to be able to get better rates. You can arrange to pick up your car at a major airport if that is suitable for you which isn’t a bad idea considering that the cab ride from your major airports to town costs about $75. Remember that lots of rental vehicles in Italy tend not to offer stick shift so if that is an issue for you, request a vehicle that does. These days, it is even simple to seek out luxury car leases in Milan Italy at a price that you can spend. Simply choose where you want to let one of the high-end rentals, like in the airport or a close-by address. Subsequently enter in a car pickup and drop-off time, which should coordinate with the rest of your itineraries. And of course, luxurious car providers in Milan Italy let you choose the kind of luxury auto rentals which will best suit you, such as a cozy minivan or a playful convertible. For cheap rentals, be sure to check out Sixt car rentals, which have made it remarkably easy to rent a car in Milan. Among the challenges that most people are up against in terms of automobile rental in Italy is in finding a business which you can trust. There are smaller companies, even family-run locales in Milan that offer pretty good prices for Milan car rentals. But one must always proceed with caution, since the care that some cars receive may not always be up to standards. If you belong to some clubs, or even are in possession of some airline miles cards, you may be eligible for impressive discounts at big brand name rentals, which can often be a safer choice.For example, Hertz has been in business since 1910 and is considered one of the largest in the world. Here you can rent cars by the day, week, month or even long term. 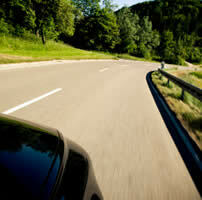 They not only specialize in vehicle rentals, but even leasing of materials along with tools to industrial companies. Most internet searches take these brand names into consideration. Sure enough, you are always left with the decision of choosing between many different car manufacturers and models that are displayed at your fingertips. During our first days in Lake Como and Milan, there was one type of car that really caught our family’s attention. No, No, No…it turned to be the almighty smart car…and today it is making tremendous headlines and can be found all over Europe as a wonderful solution to the highly congested road situation. But if the idea of cheaper Milan car rentals sounds like something you’d be interested in, then sooner or later you will be faced with the decision of whether or not to rent a smart car. If you’re just a couple, with very little luggage, you could have a lot of fun with this vehicle. I’ve found it to be easy to maneuver, and the brakes work like a charm. I couldn’t believe it and indeed my speedometer showed I was speeding. But the funny part was that I didn’t feel it at all! It must be the high-tensile steel that they use for the framework that gives the smart car its solid, safety structure. One day I thought I would put this vehicle to the real test by taking it up to the mountains. On the way back down, one of my friends had to take a short break (ahem!). So while waiting for him, I left my door open with the keys in the ignition. When he came back…our “smart” car did not want to start. The car rental company forgot to tell us about the security feature and there was no manual in the car – and surely nowhere in the 100 kilometers of forest! After panicking for an hour and trying every possible combination of “door-close, key-open, key-lock, door-open” the engine finally started! So…we are clearly in the 21st century…and Milan car rentals have certainly advanced since the 1980 Fiat Pandas. 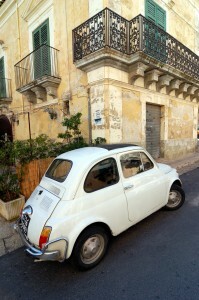 Also, read about one visitor’s experience of a car hire from Milan Airport.